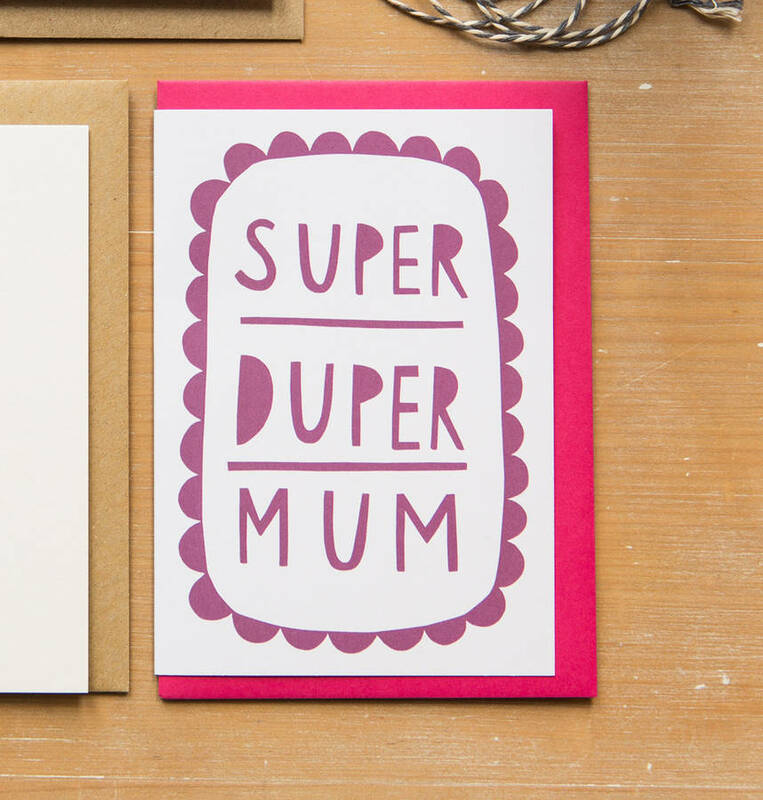 Because all Mum's are truly Super Duper! 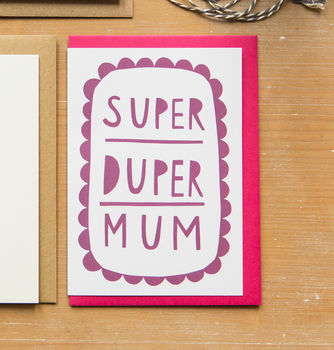 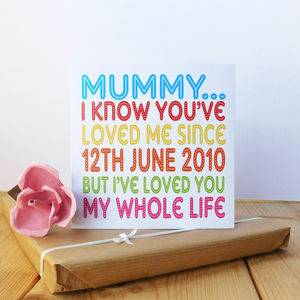 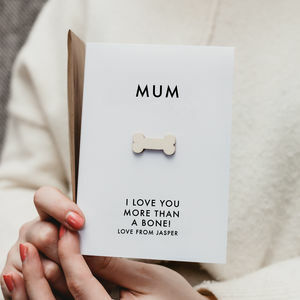 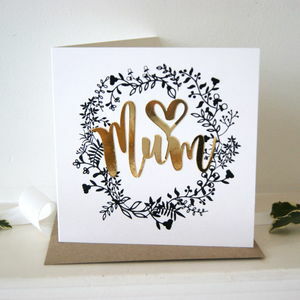 Tell your Mum how amazing she is with this type-based illustrated card. 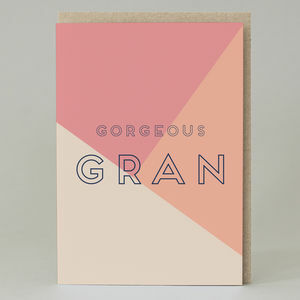 With a co-ordinating pink envelope.